In April I travelled to Salt Lake City, Utah for the blogging conference SNAP! The conference was made up of craft minded bloggers and what do us bloggers do best? We craft for each other. I signed up for a SNAP secret sister. The conference was over 3 days and with a gift for each day and on the third day revealing yourself as the secret sister. Today I am going to be sharing with you guys the gift from day two which happened to be a notebook that I customized with vinyl. This gift was perfect because the Silhouette Challenge theme this month is DIY Gifts. So make sure to stick around until the end for 16 other DIY gift projects. Can you believe that it's already December?! Do you know what that means? It's the last Silhouette Challenge of 2014! We always like to make these challenges the best by thanking you guys for crafting with us through out the year. This week we will be giving away not one but TWO Silhouette cutting machines! First place will win a Cameo and second will win a Portrait! So make sure you stick around until the end of this post. While I am not in school nor do I have any children that are I was a little stumped as to what to create. I thought back to prepping for back to school and even the first week of school and I remembered always covering all my books with my Mom or Dad with brown paper bags. Then I would go to town decorating them (no surprise there). Now even to this day my handwriting is atrocious. I would ask any one else (besides my brother who has even worse handwriting than me, sorry Jeff) to write the subject on the book cover before I decorated it. The Silhouette Challenge has coordinated another great event! Similar to the card swap a few months ago and handmade gift exchange was organized. Each participant was randomly paired up with a partner. You were challenged to get to know your partner and create a handmade gift for them. My partner is Melissa Stout from The Stamp Doc. We had a great time getting to know each other and secretly coming up with gifts that we would both enjoy. Melissa loves to cook and I had been dying to etch some more glass! So it worked out perfectly. It's that time of the month again! 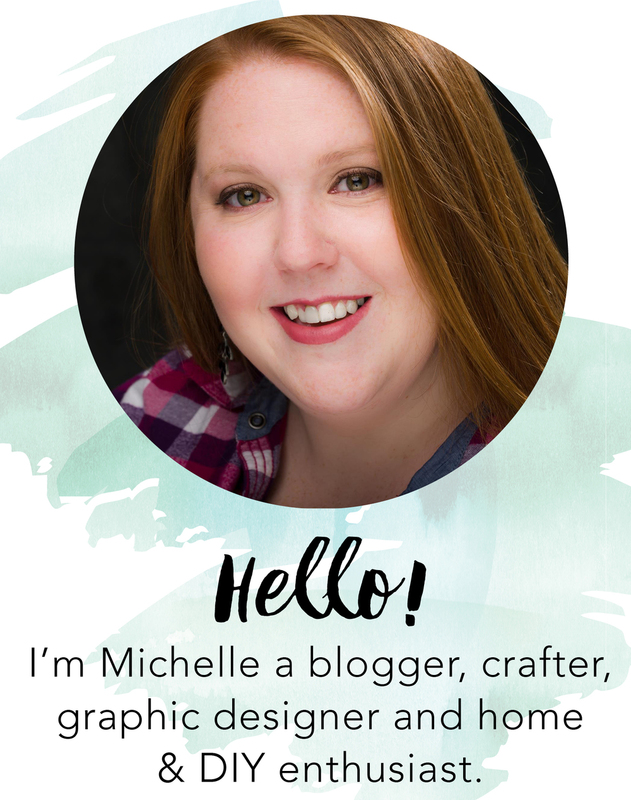 Time for the Silhouette Challenge where 40 Silhouette loving bloggers get "together" to craft keeping in mind a theme and share the results. This month's theme, which is very appropriate with this gorgeous weather, is Spring! Make sure to stay until the end to see 40 other inspirational projects! I didn't know what I was going to do for this challenge for the longest time. I had originally thought about making flowers but then I peaked at next months challenge, which the theme is flowers, I decided to go back to the drawing board. Don't worry it's nothing a trip to Michaels can't fix. A few weeks ago I posted about a card swap I was participating in with the Silhouette Challenge. How it worked was I created 26 cards and mailed them to Kristy, from Please Excuse My CrafterMath, she sorted through all the cards and mailed back 26 handmade cards from other Silhouette Challenge members. How fun?! Right?! The first day of April is just around the corner. Can you believe that? Easter is less than a month away so its time to start cranking out cards to send to my family and friends. This year I wanted to do something a little different. I have seen on the Silhouette online store some 3D cards so I figured why not give it a try. Now I don't have much card making skills besides the card swap I participated in last month. It's that time again! Time for the Silhouette Challenge! This month's theme is paper. Make sure you stick around until the end to see 43 other inspirational projects. Now choosing a project to complete for this challenge was actually kind of hard. With paper the options are just endless. Recently I used an old atlas to make cards for a cardswap. When I was choosing pages from the map book I had set aside Massachusetts and Texas knowing that I wanted to do something with them for an upcoming wedding. You see one of my best friends is getting married in July she is from Mass and her fiance is from Texas. With their relationship initially being long distance their states are a significant part of their story. Cards are something that I have always tried to make. Let's face it cards are expensive and if you aren't sentimental the ones off the shelf usually end up in the garbage a month or two after receiving them. This is why I try to make cards. One I think they are a little more meaningful and two I like to make a card that you would want to put out on display! This month I joined up with a group of 26 crafters and bloggers for a card swap. How it works is that I make 26 handmade cards mail them out to the organizer and two weeks later I will get back 26 unique handmade cards. How fun! Now I have been diligently working on these cards for the past couple of weeks and am finally ready to mail them out and anxiously await for the unique 26 to come back in the mail. I'll be sure to share them in the coming weeks. Make sure to stay until the end of this post for a chance to win a Silhouette Portrait! It's that time again! Second Monday of the month and time for the Silhouette Challenge! This months theme is fabric. Read until the end and you will find 44 of my blogger friends and their projects! Now hearing this months theme was intimidating. I am a crafter but I am not a sewer. It is actually on my list of something to learn but later... Let's say 2015. I have seen so many of my favorite bloggers and crafting friends (Thinking Closet and TitiCrafty) using freezer paper as stencils. So I decided to give it a try with some tote bags I had bought at Joann's on sale. It's that time again! Time to join up with over 30 bloggers for the Silhouette Challenge, to share projects we have been working on this past month. I am proud to commit to a challenge a month for 2014. Each month will revolve around a different theme and January just happens to be organization. Which also happens to be one of my New Years Resolutions, since half my life is sitting in boxes in my garage since I moved, organization has been something that was missing for most of 2013. This is the year that those boxes will come out of storage, the year that I will create a studio space to craft and the year to blog. So make sure you stay tuned and read to the end of this post to see some great projects from some of the best Silhouette bloggers out there.